Curriculum Chess. 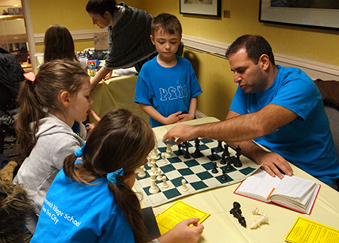 Kindergarten, first, and second grade students receive weekly chess instruction in their regular classrooms from Jeremy Scheinbach, one of the after school chess program’s teachers. 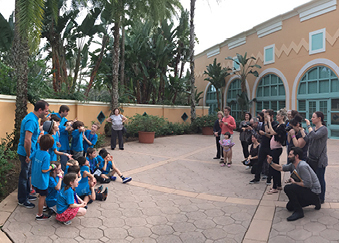 This enrichment program began in 2003 and is funded by the PTA. Find out more HERE. After School Chess. 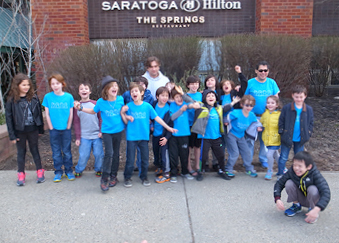 The popular after school chess program occurs on Mondays, Wednesdays, and Thursdays and has three sessions per school year (Fall, Winter, and Spring). 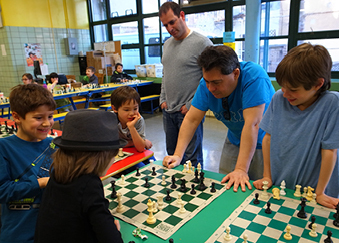 The program is available to current PS41 students only and is organized by NY Chess Fund. Find out more HERE. 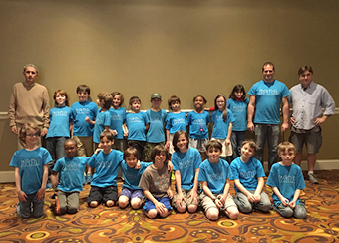 Summer Chess Camp. 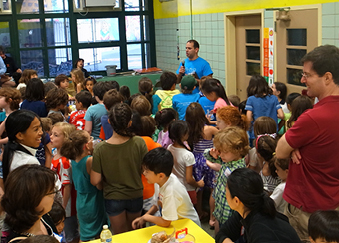 Our after school program becomes a full day chess camp in the summer at PS 41. Students can register by the day or by the week. 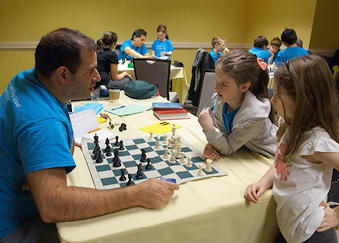 The camp is open to all elementary school age children and is organized by NY Chess Fund. Get more information HERE. Tournaments. 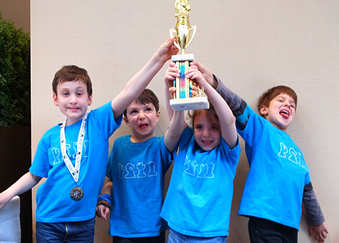 Four times a year, our chess tournaments provide a safe and friendly environment for competitive play. 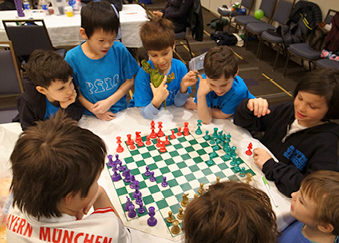 The tournaments are open to all students. 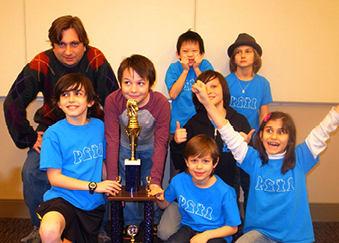 Net proceeds from the tournaments support our traveling chess team. Get more information HERE. 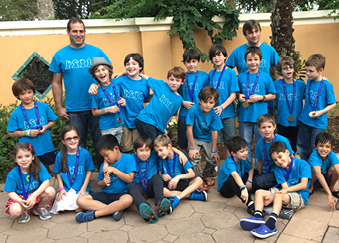 Chess Team. 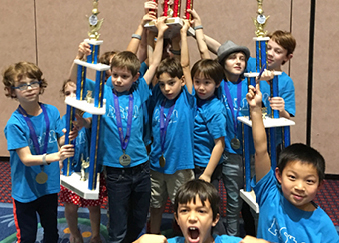 Our growing chess team has competed at numerous national, state, and local tournaments, and is one of the top rated scholastic teams in the country. Find out more HERE. Celebration Party. 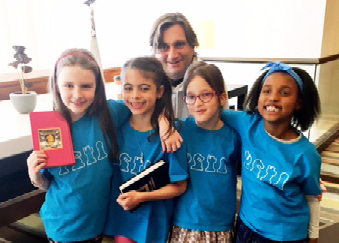 Our annual spring party celebrates chess at our school and acknowledges members of the chess team. This is always a big fun event for all!